Entries for the 2012 $20,000 Black Swan Prize for Heritage are now open! In 2007 the Black Swan Prize for Portraiture was created and as it expands it continues to enthrall audiences. In 2012 the Black Swan Prize spreads its wings through the creation of the Black Swan Prize for Heritage (Portrait of a City). 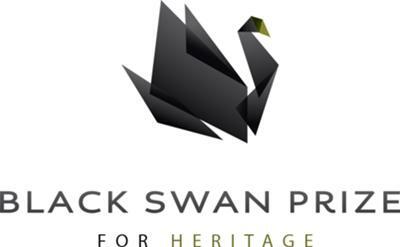 This Prize is an independent heritage competition run by the Black Swan Prize in partnership with Heritage Perth, with a prize pool of over $20,000. Featuring depictions of any aspect of the Heritage of Central Perth the prize aims to raise awareness and appreciation of the built and natural Heritage of Central Perth. For this competition, the word Heritage is defined as “Those things from the past which are valued enough today to save for the people of tomorrow”. Who can Enter: Entry is open to all Australian artists. Medium: Photography and digital media will be accepted, along with traditional 2D mediums (painting, drawing). NB: Entries are now open for the 2012 $40,000 Black Swan Prize for Portraiture - Australia's third richest portraiture prize showcased in the heart of Perth, Western Australia. Visit our website to read the Terms and Conditions, to enter your artwork on-line or to view previous highlights.